Even if you have healthy teeth and gums, there may be certain aesthetic elements of your smile that you wish to improve. Treatments in cosmetic dentistry can dramatically enhance your appearance, giving you the confidence to take on the world. At Kreeb Family Dental, our doctors offer a wide range of cosmetic services, including teeth whitening, veneers, and porcelain restorations. Are you interested in a more discreet orthodontic option? 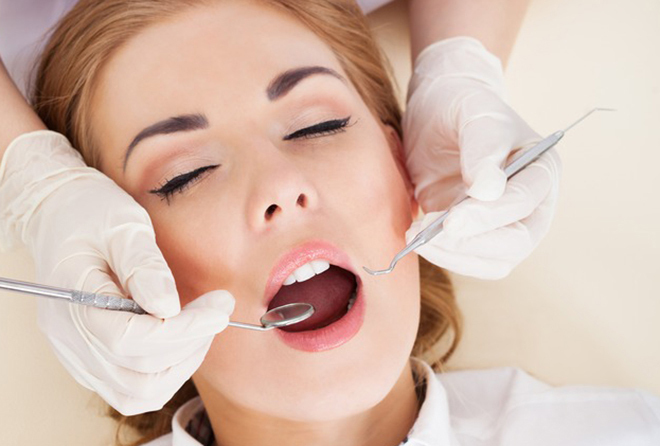 Find out if you qualify for Cosmetic Dentistry. Call your dentist in Huntersville, NC at (704) 875-7200. To be eligible for cosmetic dentistry, patients should not have gum disease or extensive decay. These issues can have a serious negative impact on the success of treatment. Therefore, any oral health problems should be addressed prior to cosmetic treatments. There are several procedures that can improve the balance, symmetry, and overall appearance of your smile. These treatments can be effective as standalone procedures, or they can be combined for truly comprehensive results. We will explore some of the most common cosmetic treatments in the sections below. Traditional silver fillings are metallic in color and do not blend in with the smile. At Kreeb Family Dental, we place tooth-colored composite fillings, which repair decayed or damaged teeth while maintaining a natural appearance. Dental crowns, or “caps”, can restore badly damaged or decayed teeth. Our lifelike porcelain crowns can also conceal discolored or misaligned teeth. At Kreeb Family Dental, we offer CEREC® same-day restorations for qualifying patients. While traditional crowns often require two appointments spaced a few weeks apart, CEREC crowns can be made in-house while you wait. Gaps left behind by missing teeth can have a negative impact on your smile. Most importantly, they can also compromise your bite function and oral health. Our porcelain bridges consist of two dental crowns with pontics – or artificial teeth – between them. Once the crowns are bonded onto the adjacent teeth, the pontics literally bridge the gap to complete your smile. Stained, yellowed, or discolored teeth can detract from even the healthiest smile. Extrinsic stains, which are caused by dark-colored foods and beverages, can be effectively eliminated with professional teeth whitening. Our gentle bleaching systems can brighten your teeth up to eight shades. Before undergoing teeth whitening, we will take impressions. These are then used to create a set of custom bleaching trays. Simply dispense the provided bleaching gel into the trays, and wear them for the recommended amount of time. Do you have chipped, cracked, or fractured teeth? Porcelain veneers are strong, thin shells made from layers of medical-grade ceramic. These restorations adhere to the front surfaces of the teeth to conceal cosmetic imperfections. Additionally, porcelain veneers can be used to lighten the color of intrinsically stained teeth. This type of discoloration can be caused by trauma, health conditions, and even certain medications. If you’re interested in learning more about smile enhancement, schedule a visit with your dentist in Huntersville, NC. Contact us online anytime or call our office at (704) 875-7200.